So a few weeks ago I told you about the Chia Bia challenge. Instead of telling you about each and every day, I thought I would compile it all into one informative post about my (delicious) journey, with a couple of recipe ideas for good measure. 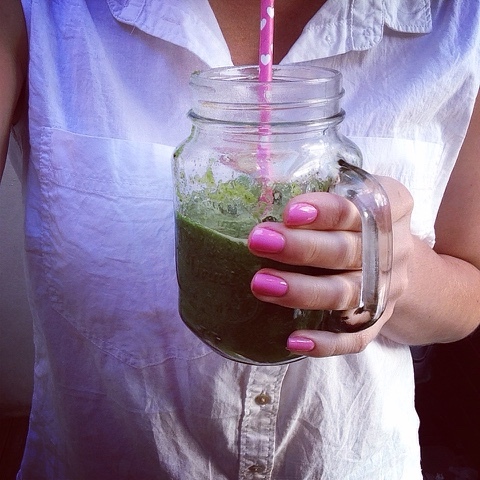 Coconut water, spinach, celery, pear, lemon juice, milled chia seeds. Great for on the run. I cut up and prepare all my ingredients the night before so I can whip it up quickly in the morning. How to: This one is as simple as throwing all the ingredients in the blender, whizzing it up and you're done. 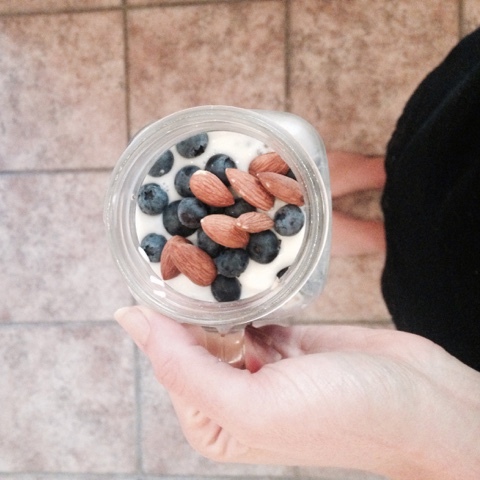 Oats, milk, whole chia seeds, Greek yogurt, berries, nuts, honey. Great for the weekend. 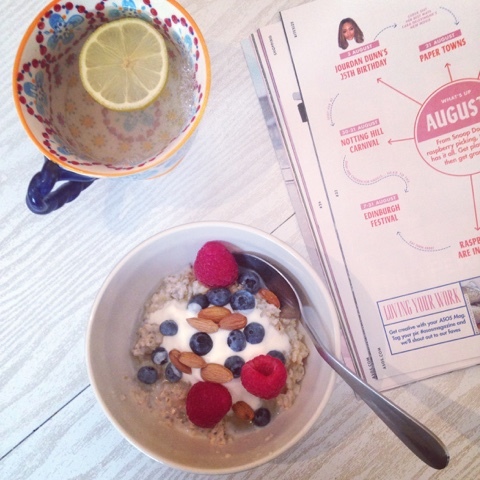 Take your time, get a hot drink and a magazine and relax over a great big bowl of oats. How to: This is easy peasy. Add 2 table spoons of chia seeds to the saucepan and cook your oats as you like them, add a big dollop of Greek yogurt, sprinkle on your berries & nuts and finish with a drizzle of honey. Oats, milk, water, whole chia seeds, honey, Greek yogurt, berries. Great for those who like a lie in. As all the preparation is done the night before, you just have to take this out of the fridge, add your yogurt and berries and your good to go! It is the quickest breakfast ever. It is also great with a handful of frozen raspberries, it makes it deliciously sweet. You can find the recipe for this one here. Strawberries, honey, whole chia seeds. Great for those with a sweet tooth. I LOVE peanut butter and jam on rice cakes but I never buy jam because the refined sugar content terrifies me. Making sauces, preserves & condiments yourself is great because you know exactly what goes in them. I wouldn't eat this in huge quantities everyday but as a treat on ricecakes, toast or in my porridge is so so yummy. 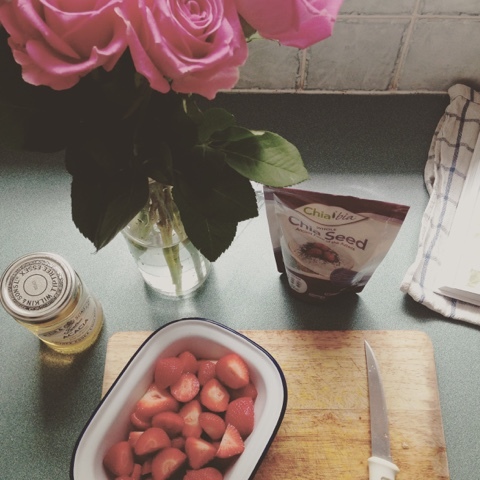 How to: Cook around 400g of strawberries with 3 tablespoons of honey on the hob for 5 mins. Add your chia seeds and cook for a further 20 mins, stirring occasionally. Leave to cool then put in a jar and keep in the fridge. Walnuts, almonds, cashews, pecans, coconut flakes, sunflower & pumpkin seeds, whole chia seeds, cinnamon, rice malt syrup, coconut oil. Great for EVERYTHING. This was my best discovery. I love granola but I avoid buying it at the supermarket just like jam. A lot of it is packed full of the naughty stuff. This nutty granola was so easy to make and can be added it to lots of different things. You can have it with just milk or greek yogurt, on top of your porridge, with fruit or by itself. I took mine in tupperware and ate it in work after the gym. It's great if you also add some oats when preparing it to make a bulkier version. How to: Roughly chop around 140g of nuts & seeds, put in a big bowl with 100g of coconut flakes, 3 big tablespoons of melted coconut oil, a sprinkle of cinnamon, a drizzle of rice malt syrup, stir it all up and place in the oven for 15 mins. 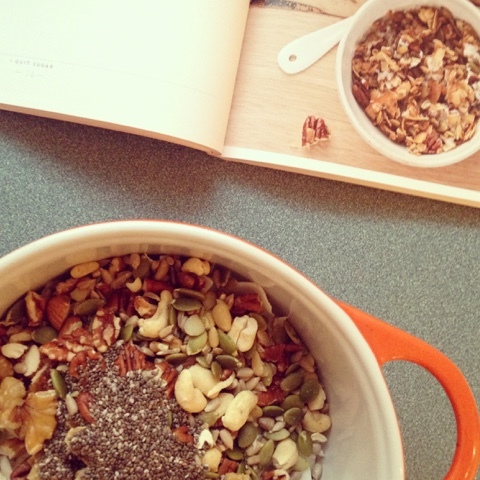 Any excuse to experiment with breakfast is my idea of heaven so I loved doing the Chia Bia Challenge. I am not one to force food facts on you and tell you to change your diet - I myself could never give up chocolate or cake...but I do love healthy food, especially making it. So if you are looking to improve your diet, little things like adding chia seeds to your breakfast or making your favourite snacks, smoothies & sauces from scratch is a fantastic way to start. I would highly recommend trying the Chia Bia challenge for yourself, write a shopping list of key ingredients and get creative. It's fun and I promise it will chia you up in no time.